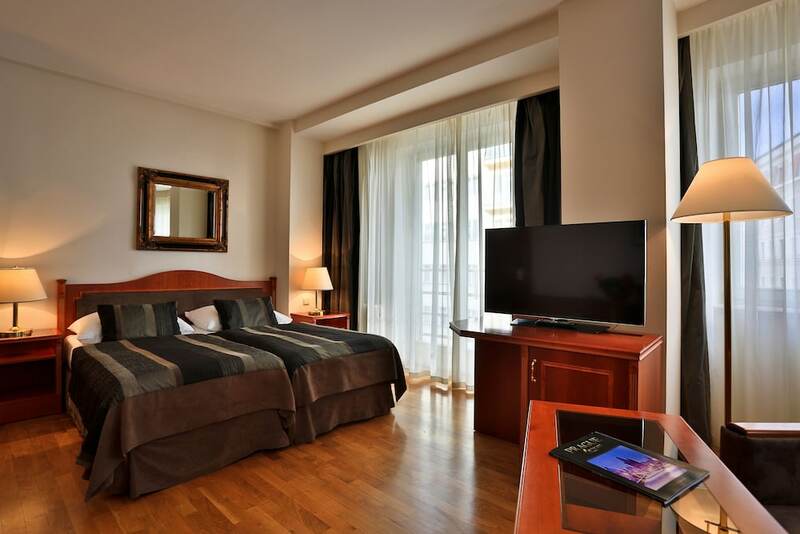 Located in Prague (Prague 7), Hotel Belvedere is within a 10-minute drive of Old Town Square and Charles Bridge. This 4-star hotel is 1.8 mi (3 km) from Astronomical Clock and 2.4 mi (3.9 km) from Prague Castle. Make yourself at home in one of the 149 guestrooms featuring minibars and LCD televisions. Complimentary wireless Internet access keeps you connected, and satellite programming is available for your entertainment. Private bathrooms have deep soaking bathtubs and rainfall showerheads. Conveniences include phones, as well as safes and desks. Relax and unwind with massages and facials. Additional features at this hotel include complimentary wireless Internet access, a hair salon, and a television in a common area. Enjoy a satisfying meal at Belcredi Bistro serving guests of Hotel Belvedere. Wrap up your day with a drink at the bar/lounge. A complimentary buffet breakfast is served daily from 7 AM to 10 AM. Featured amenities include dry cleaning/laundry services, a 24-hour front desk, and multilingual staff. Planning an event in Prague? This hotel has facilities measuring 4682 square feet (435 square meters), including conference space. A shuttle from the airport to the hotel is provided for a surcharge (available 24 hours), and self parking (subject to charges) is available onsite.